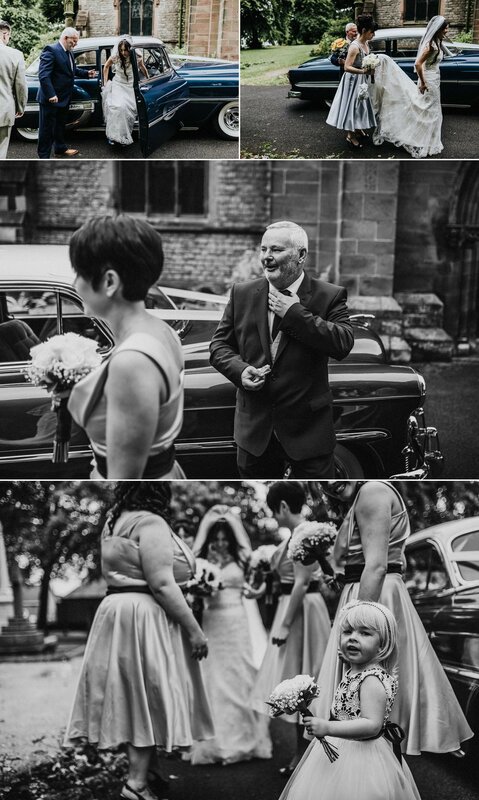 Back in July I joined Lisa & Paul in Birmingham for their wedding day. 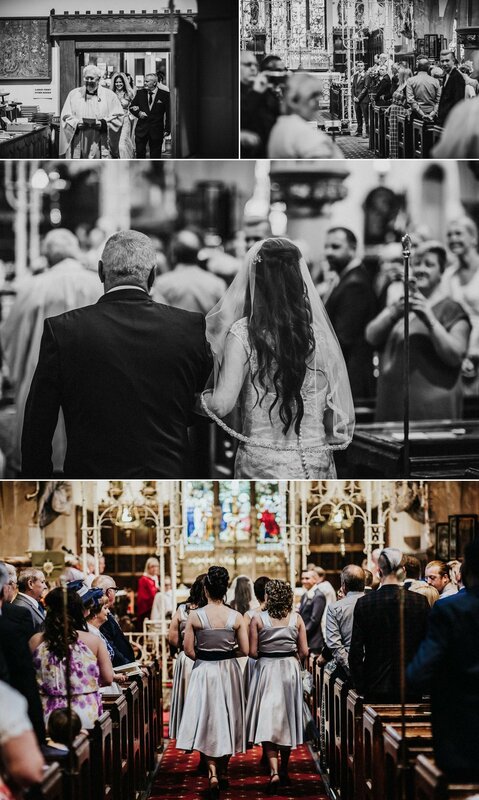 Their ceremony took place at St Margaret's Church in Great Barr, followed by a reception at Moxhull Hall in Sutton Coldfield. First stop for the day was Lisa's family home in Sutton Coldfield for preparation pictures. Everyone was in such high spirits despite rain pouring down outside, which certainly became a trend of our British summer. 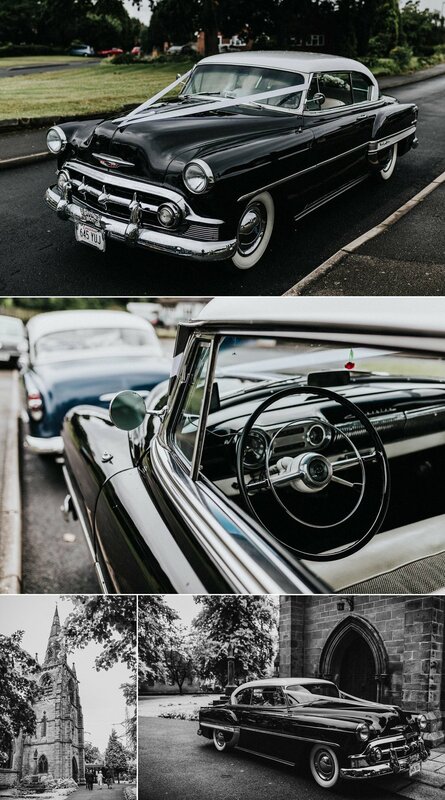 Lisa, her family, and her bridesmaids arrived at the ceremony at St Margaret's Church in style, in classic American cars. Thankfully by that time the rain had died off a bit so we managed to get plenty of pictures outside before and after the ceremony. After the ceremony we all headed over to Moxhull hall for the reception. 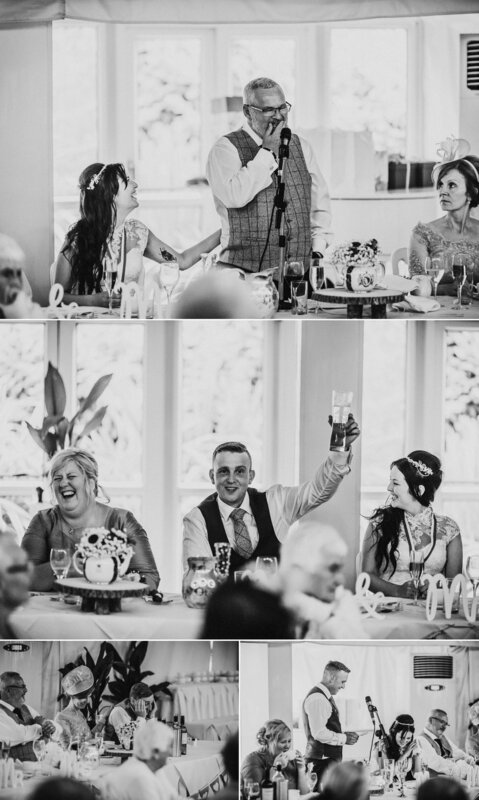 Guests enjoyed drinks on the patio whilst listening to a gramophone DJ. I spent a lot of time capturing candids before taking Lisa and Paul off for a walk around the grounds for a few portraits. After the meal and some emotional speeches we went for another explore to take a few twilight pictures before the evening celebrations began. 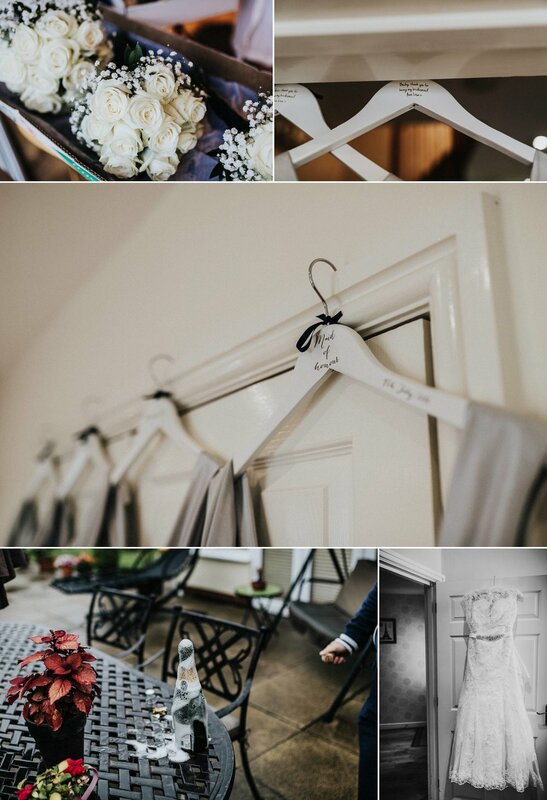 I had a fantastic time photographing Lisa & Paul's wedding day, and wish them both the very best for the future!